↑ ক খ Penprase, Bryan E., The Power of Stars: How Celestial Observations Have Shaped Civilization, Springer Science & Business Media, 2010. আইএসবিএন ৯৭৮১৪৪১৯৬৮০৩৬. p. 221. ↑ ক খ Parthenon. Academic.reed.edu. Retrieved on 4 September 2013. ↑ ক খ The Parthenon. 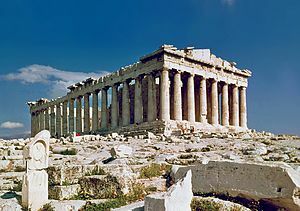 Ancientgreece.com. Retrieved on 4 September 2013.